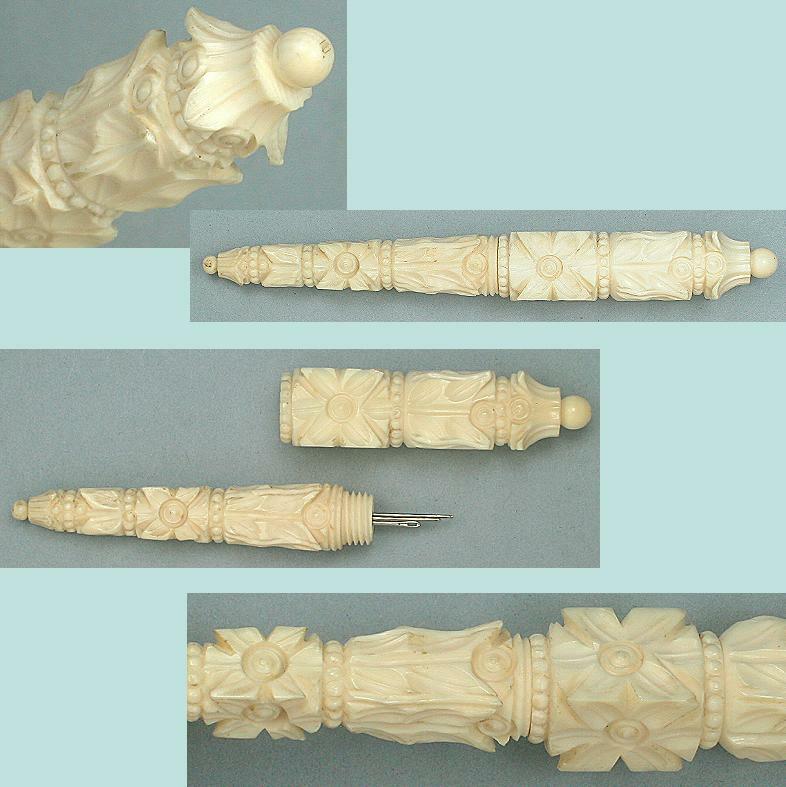 This ornate antique needle or bodkin case is carved of real ivory. It has all over diagonal leaf and petal designs carved around the sides and pinwheel like finials at each end. 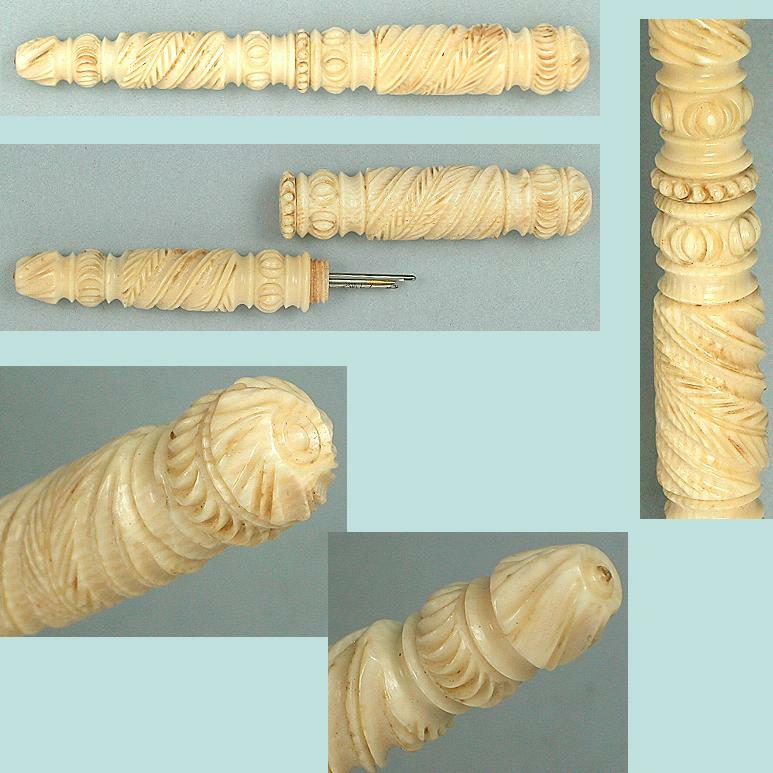 The quality of the carving is lovely, as are the ivory grain and patina. The condition is excellent with no chips or cracks and it screws together perfectly. It measures 3 5/8" long and was bought in England.